‘There’s more to it than meets the eye’. How many times have you heard this phrase? If you’re familiar with the concept of thermal imaging then you’re aware there’s only so much the naked eye can see. Visibility is impaired in certain situations for instance at night. But that doesn’t mean there’s nothing happening in the invisible spectrum. Thanks to thermal imaging cameras certain important but hidden aspects are brought to “light”. And then add that to a drone. 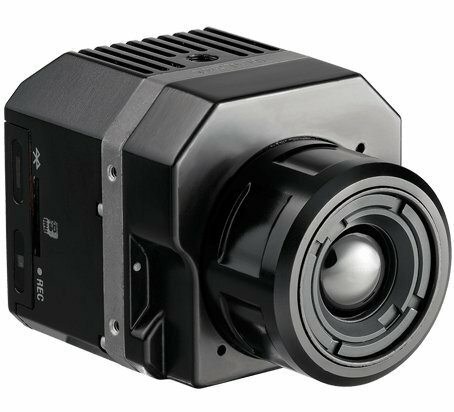 The drone thermal camera innovations can transform TIC applications. Below we review some of the best ones. But how exactly does the technology work? What is a Drone Thermal Imaging Camera? Drone: A drone is an unmanned aerial vehicle equipped with different technology for instance GPS or infra red cameras. Thermal imaging camera: This camera is designed to improve visibility of objects in a dark environment by detecting the object’s infrared radiation and creating an image based on that information which is different that night vision which amplifies the available light, you can check out our full article on the differences here. Did you know: All objects absorb, reflect and transmit energy at different levels. While the ordinary human eye can’t pick up this energy, specialized infrared equipment can detect this energy and display it as images. Thermal imaging cameras see through darkness and ignore visual camouflage. Also they need no light whatsoever to produce a clear image. So how then do they produce it? They rely on emitted heat instead of light to create a visual. This is done by recording minute differences in the heat emission and translating that information into a visible image. Because they rely on thermal instead of visible contrast it means they’ll provide perfect vision even when darkness renders normal eyesight useless. Drone thermal imaging cameras are particularly useful in these instances. By focusing this camera on the roof of a building, technicians can see where thermal insulation is faulty. Apart from detecting overheating circuits and heat leaks they can also determine how effectively a roof is insulated. Having this information helps them fix any problematic wiring and consequently prevent power surges. End result - safer buildings. Power line maintenance technicians use drone thermal camera setups to locate overheating joints & parts to eliminate potential power failures. As mentioned earlier this concept allows for improved visibility in dark or visibly impaired environments. As a result fire fighters use them to see through smoke and consequently find people in need of rescuing. Also it helps them localize hotspots of fires so they know where to put out fires first. Ask any serious hunter and they’ll tell you many animals are mostly active at night - using darkness to remain undetected. Unfortunately they can’t hide from the drone thermal imaging camera. Why? All warm blooded animals will show up clearly in the thermal image, regardless of intensity of darkness or weather conditions. Ideally the most effective camera must have both high resolution thermal and high definition color imaging integrated into one if you need clear images for your work. This is the extent to which your camera can see and it’s measured in angles. Angles between 140 to 170 degrees are quite impressive. The last thing you need is a shaky video. Make sure you pick a camera with stabilisation if most of your footage will be recorded in video mode as opposed to still pictures. The quality determines how clear and smooth the video is. Pick a camera which uses real/native resolution and a frame rate of at least 30fps for clear videos. Because your drone will be venturing into all sorts of weather conditions, in dire circumstances it might end up on the floor or worse - shredded into pieces. You don’t want to lose your footage if this happens. To avoid this, a weather & shock proof camera is ideal. If it’s too heavy it’ll affect the drone’s center of gravity and it won’t fly properly. Simply put: the lighter, the better. How you mount your drone will depend on whether it’s compatible with the camera or not. For this one simply pop it in the frame or attach it on the mount. To mount your camera to your drone you can either buy a Gimbal or DIY kit. Buying a Gimbal: A gimbal is a device you attach to your drone then to your camera. It stabilizes the shot your camera records. Your camera must come with mounts which you connect and tape on the bottom of your drone. After this you can use Velcro or Zip ties to secure it in case the tape gives way. DIY: If it doesn’t come with mounts use Blue tack or Zip ties. You simply place it at the bottom of the camera and you’re good to go. Now which ones are worthy of your consideration? Here we have a compact action camera which integrates dual sensor thermal and visible light color imaging designed for drones. This lightweight model lets you view thermal or visible images alone. 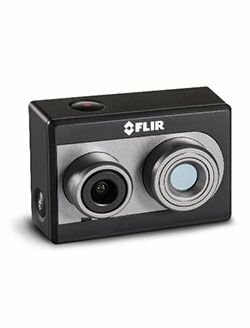 It features the intuitive FLIR app and built in Bluetooth which makes setup a breeze. Apart from recording digital thermal and 1080p color videos you can also capture still pictures for analysis later. They’re simply saved to an on board microSD card. You can combine two images together using the MXS blending feature for even more image detail. It accepts 5-24v DC input power and outputs - as well as both Analog and HDMI digital video. You can configure and control the camera in the air with up to two PWM inputs. Plus the sensor resolution is 160 x 120 with a video camera resolution of 1920 x 1080. By picking this camera you don’t have to pay for features you don’t need, if you’re just interested in basic functions. It comes with all the necessary features for effective thermal imaging. Also, it includes in flight control of two camera functions through direct PWM connections. You can take both still images and videos using this drone thermal camera. Plus apart from being a thermal camera it’s a thermal measurement instrument and data recorder. Its MAVlink compatibility will allow easy image stitching required for mapping, surveying and precision agriculture applications. It features a mobile app that allows pre-flight camera set up and makes configuration quick & easy. This way you don’t have to drag a computer out to the flying site. Also because it has a microSD card you won’t lose any of your valuable data due to transmission loss. The only downside is you might not have much control over certain image settings particularly temperature ranges as they’re auto adjusted. As a result you can’t set your desired temperature ranges. This camera is specifically developed for commercial use for insurance inspection and construction. It’s the perfect solution for long flight times. Unlike other models this camera has an adjustable temperature detection scale so you can focus on relevant areas. Also the multiple palettes allow for an accurate visualization of heat sources. It also has a Gimbal mount for smooth image/video gathering. The large infrared sensor detects greater detail in the dark than the human eye and is ideal for site monitoring. It has simultaneous HD and infrared recording to separate your files. Also it has thermal & available light recorded simultaneously for frame accurate synchronized playback. This camera combines everything you need for an effective drone thermal imaging experience. From flight stability, Gimbal technology to mobile app integration, expect only the best images and video. The kit allows you to deploy two imagers below the aircraft so you can fly both thermal and visible cameras at the same time. 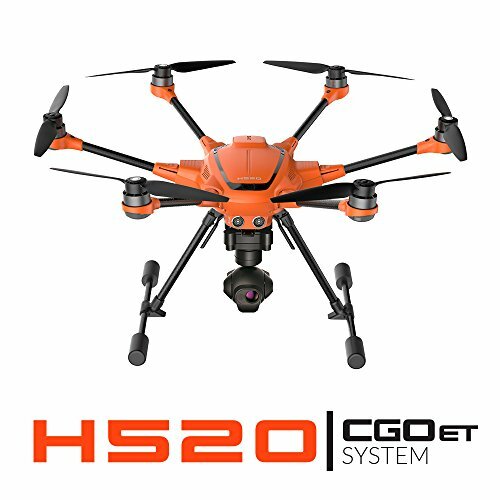 It features an M2 10 RTK airframe and a 19mm radiometric thermal camera with a resolution of 640 x 512. The built in RTK unit enables the drone to hover with centimeter accuracy. They also feature an upgraded Cendence control unit and a single upward facing Gimbal for aided stability. 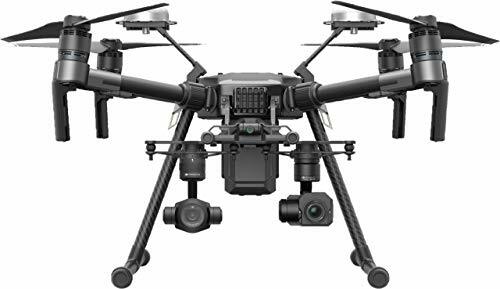 It also comes with FLIR tools plus imaging software, Zenmuse XT Gimbal adapter and a landing pad. That’s a load of features that will make your workflow easier from now on. Thankfully technology has evolved so even the things we deem invisible are captured clearly with ease. So, which one will you pick? Ask any drone enthusiast and they’ll tell you the ideal camera must have high definition thermal and high resolution color imaging for the best footage. So put that at the top of your priority list.